It’s come to that time of your little one's life where sitting down is no longer an option and running around getting stuck into everything is much more fun. With their newly found feet, it’s important to make sure they’re protected against any potential mishaps as well as making sure their feet are fully supported whilst they grow. When buying young boys shoes, it’s vital that you choose the right fit, style and size for your little one’s feet. Wearing ill fitting shoes at a young age can have a detrimental effect on growing feet which is why it’s so important to make the right choices when it comes to his footwear. The good news is, we’re here to help! So, here we’re going to take a look at the different types of shoes available for your little one and what’s best to look for when buying. When your boy is just starting to walk, good tot shoes are designed to be like a second skin, protecting his feet against any potential hazards and providing added grip while he walks. The idea is to replicate walking barefoot as much as possible, shoes that are flexible with a good instep and supportive heel will be the best option for this. 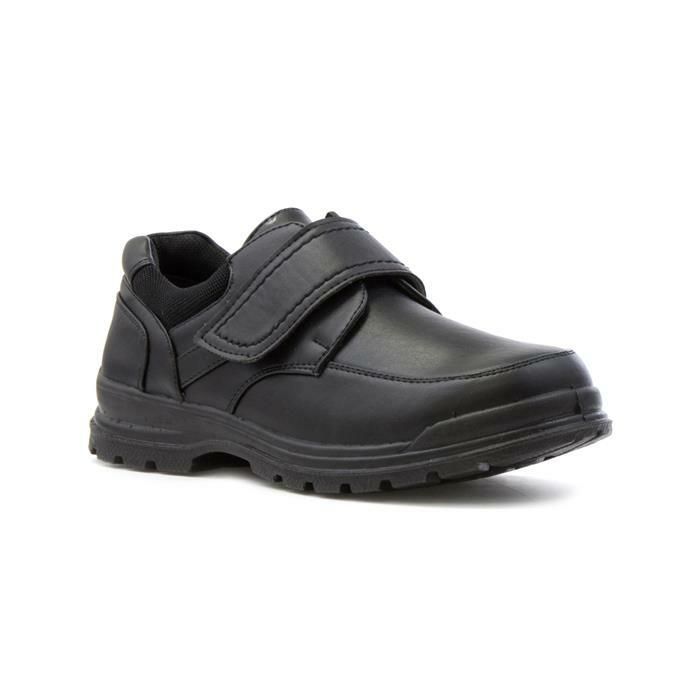 Boys shoes that have a rigid or thick sole aren’t good for young boys that are just finding their feet, rigid shoes could discourage your boy from walking more frequently as he won’t be able to feel the floor to get his bearings. Save the thicker soled shoes for when he’s a bit older and confidently running around - they’ll help to protect from the inevitable bumps and scrapes! Probably the most important part of buying little boys shoes. Your little boy is at the point in his life where his feet will grow the fastest, because of that it’s likely that new shoes will be needed every 3 months or so. Shoes that are too small can cause issues such as blisters and other, more severe foot problems so getting the size right is crucial. Check out our boys sizing and fitting guide for more help on what to look for to make sure you get the perfect fit. On the other hand, shoes that are too big can also cause major issues, too much movement of the foot in the shoe can cause friction sores. They can also become a trip hazard, especially if your boy is still a little unsteady on his feet. All these potential problems can easily be avoided by getting the right size and fit. Selecting the right fit when buying young boys shoes goes hand in hand with getting the right size. Not all boys have the same shape feet, some may have wide feet that require a wider fit, these wouldn’t be suitable for your boy if he has narrow feet. Like buying shoes that are too big in size, shoes that are too wide can cause friction sores much like shoes that are too narrow can cause issues. Use our fitting guide for more info on how to fit little boys shoes correctly and keep his feet healthy. There’s nothing more that little boys like than to stomp around getting up to mischief. To cope with that mischief, it’s critical that you buy boys shoes that can withstand whatever is thrown at them. If you’re buying boys winter boots, opt for a pair with a rugged but flexible sole, this will allow your little one to still flex his feet but still maintain grip in poor weather conditions. When buying shoes for summer, a good rubber sole will be best. Much like durability, the materials that little boys shoes are made from can have a big impact on how well they perform. The best materials to opt for are natural materials such as leather (the softer the better), cotton canvas and wool. A young boys feet tend to sweat a lot so natural, breathable materials will allow air circulation as well as having unique moisture wicking properties, helping to keep the feet dry. That’s not to say that man made materials should be avoided all together, however they can make feet sweat if there’s no air circulation. To help with this, we would always recommend that cotton or woollen socks should be worn. There are a number of different fastenings when it comes to children's shoes, but the most popular is definitely easy fastening. A good easy fastening will mean that the shoes or boots can be secured properly without the chance of excessive movement, they’re also very convenient and it can also help your little one develop their sense of independence along the way. Lace up shoes are also good for the same reason, however fastening lace up shoes can be more difficult when you have a wriggly toddler on your hands. Slip on shoes are easy to get on and off but aren’t always the best option for toddlers, they can’t be secured or adjusted so only opt for these if you’re certain you’ve got the fit right. As mentioned before, boys canvas shoes are great for keeping feet cool and due to their moisture wicking properties, they’re also good for keeping your little ones feet dry. This doesn’t mean they’re waterproof though so are best suited to warmer, sunny days. Much like girls canvas shoes, they’re also available in a variety of snazzy designs which could make choosing the perfect pair quite difficult! A must for any toddler's wardrobe, wellington boots are there to help your little one get into the messiest kind of mischief possible. 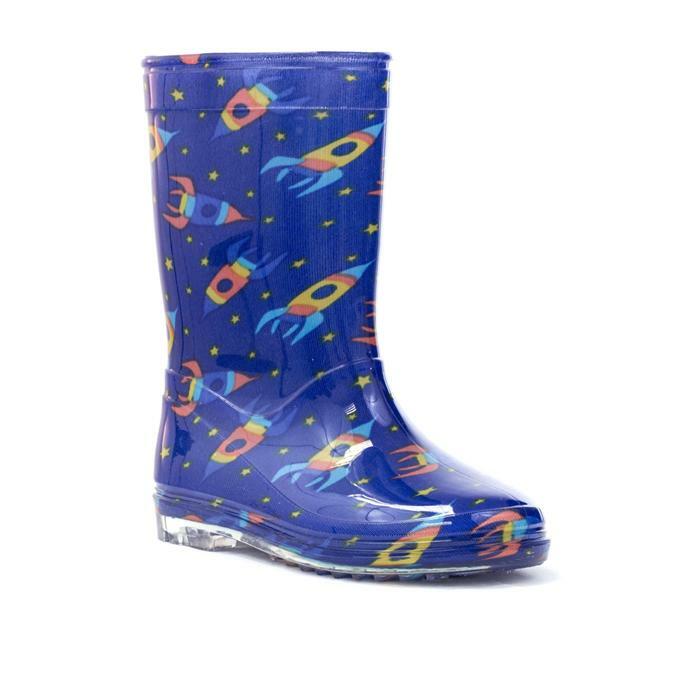 This could be hopping through puddles or running riot around a muddy field, no toddler should be without a good pair of boys wellies. Life suddenly becomes a whole lot busier when you’ve just found your feet, so what better way to get you through it that with a delightfully comfy pair of boys slippers? 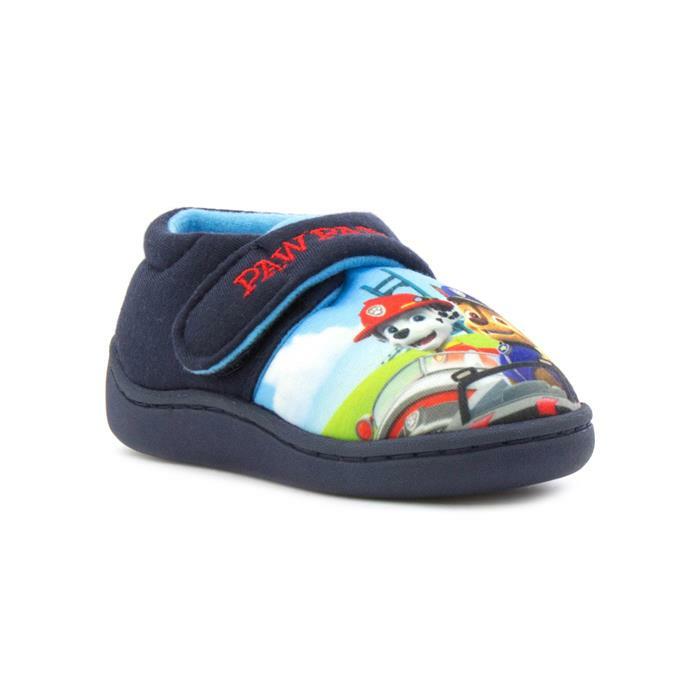 Slippers for young boys tend to be easy fastening, this helps secure them to the feet a little more than a standard slip on style would. The go to footwear for most boys, trainers make a comfortable and practical alternative to shoes. 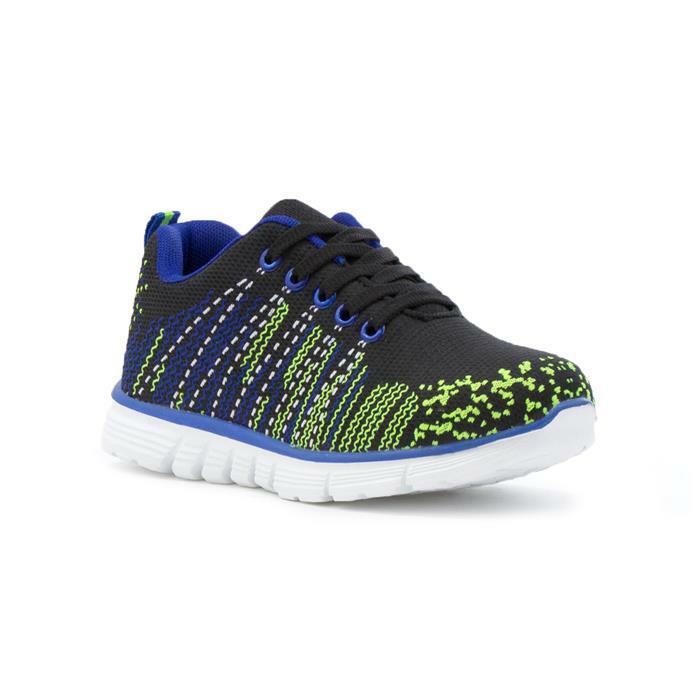 Always try to find trainers with a cotton insole and added ventilation, this is especially needed if your little boy is to wear them for most of the day. 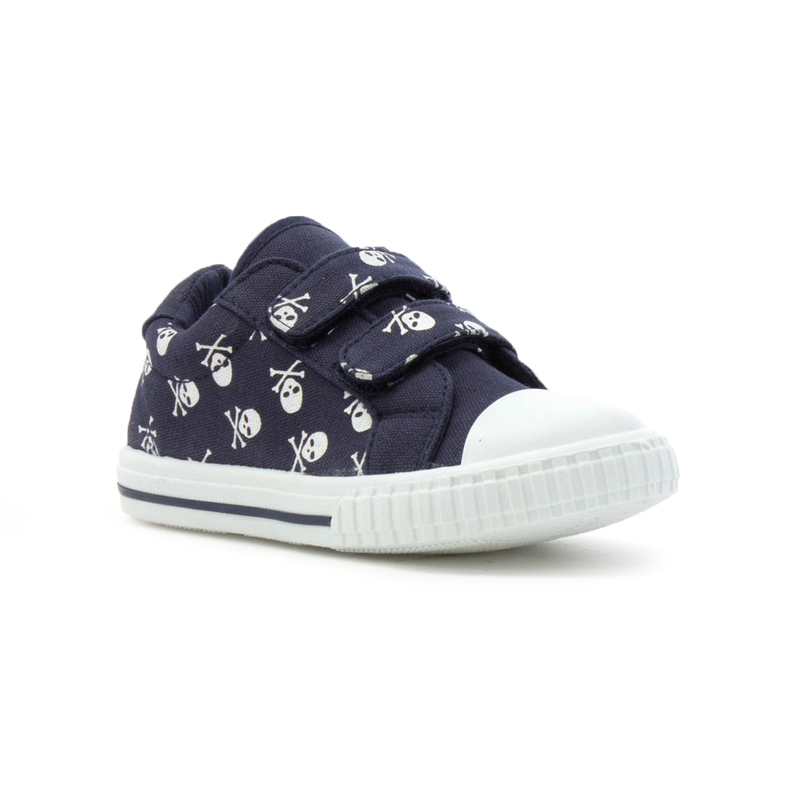 Opt for boys trainers with padded ankle support for added comfort. Buying your little one's first pair of school shoes may seem like a nightmare job, but opting for something with a good insole, a structured heel and an easy to use fastening such as easy fastening, will mean that your boy should have no issues wearing them throughout the day. Often boys school shoes are made from leather as this helps with durability. If you opt for suede or nubuck leather be aware that this will mark easily. When summer comes around, it’s time to get the sandals out, and there’s nothing better than feeling the warm summer sun on your toes. 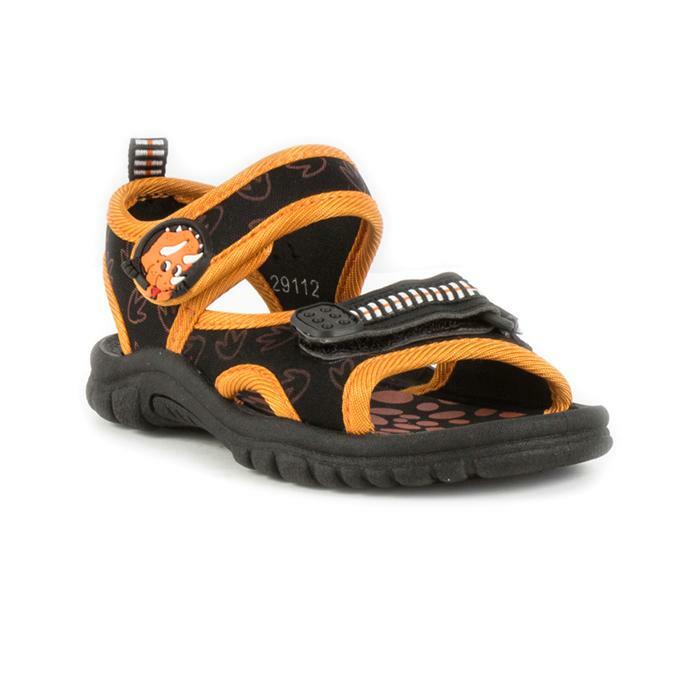 Open toed sandals for boys are a great way to keep your little ones feet feeling fresh and they make the perfect footwear when visiting the beach. There are some things to consider when buying sandals though, they aren’t suitable for long periods of walking due to their unstructured nature, there is also little protection against debris so it’s best to avoid them if there’s potential hazards around. On the plus side, open toes mean growing room so he might get extra wear out of sandals compared to a closed shoe. When you’re a tot, there’s nothing more that you want than to see your favourite cartoon characters ALL the time. So what's better than having them on your shoes, right there ready to take on the world with you. 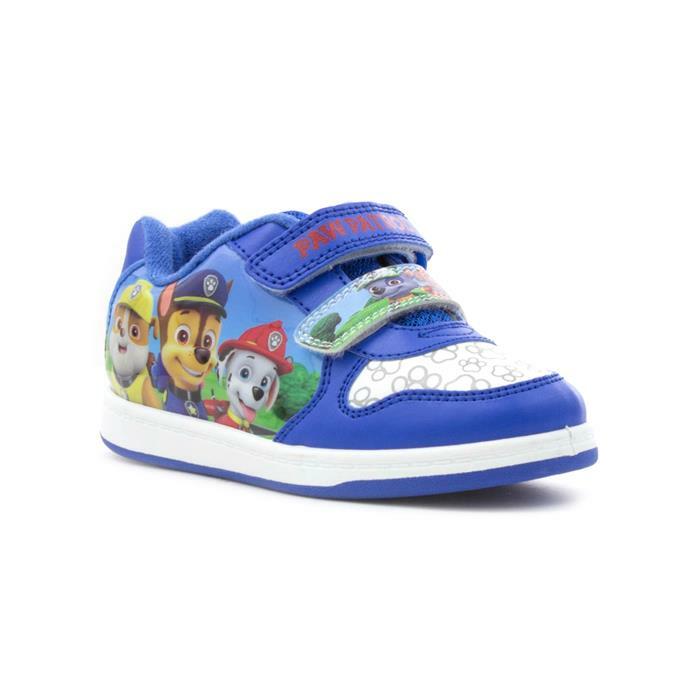 It could be a character from your little boy's favourite TV program, or it might be their favourite Disney film, either way one thing is for sure, owning a pair of boys character shoes will make you the funkiest kid in town! Buying new shoes for your little one is probably one of the most difficult tasks that you’ll come across as they start to walk, there are so many things to consider. But knowing what to look out for should make the whole process so much easier for you and your boy. Now Shop The Latest Boys Shoes!